Mumbai youngster Aaroh Ravindra took home his maiden National Karting Championship title in the Senior category as the Meco Motorsports FMSCI National Rotax Karting Championship 2017 came to a close after Round 5. Aaroh finished second in the final round to take home the title. 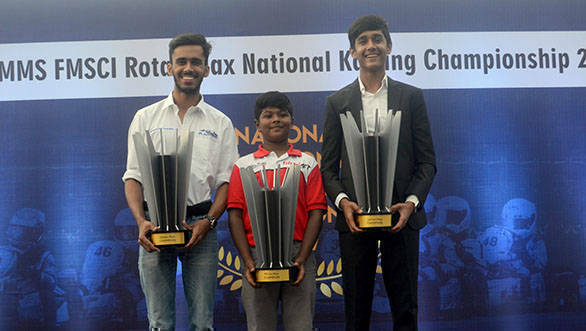 Meanwhile, in the Junior category, Yash Aradhya became champion, while Arjun Rajiv became the Micro Max category champion. 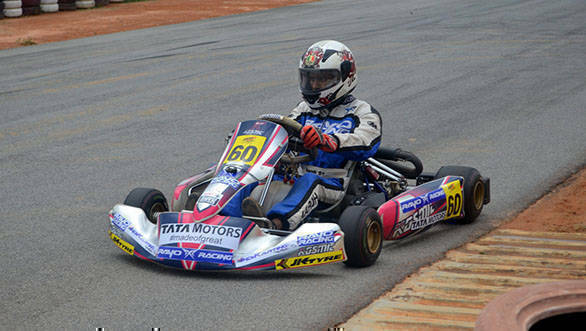 Aaroh and Yash, along with Ruhaan Alva who finished second in the Micro Max category, have been selected to represent India at the World Rotax Karting Finals in Portimao, Portugal. In the final round of the championship, Aaroh had qualified second, and he finished the final race in the same position while his Rayo Racing team-mate Aanjan Patodia clinched first place. Aaroh had dominated the category this season with his worst finish being second place. He claimed the championship with a 33-point lead over Nirmal Umashankar and Aanjan. Yash of M Sport, with 2 victories in the season, won the junior title by 9 points from Chirag Ghorpade and Shahan Ali Mohsin. Arjun won the Micro title by 8 points, ahead of Ruhaan Alva and Rishon MR. However, Ruhaan who was runner-up in the championship has been picked to represent India in the Micro Max category owing to his overall performance this season and his pole position record. The trio will be among the 300 participants from 50 countries racing in the World Finals to be held from November 5 to 11, in Portimao.